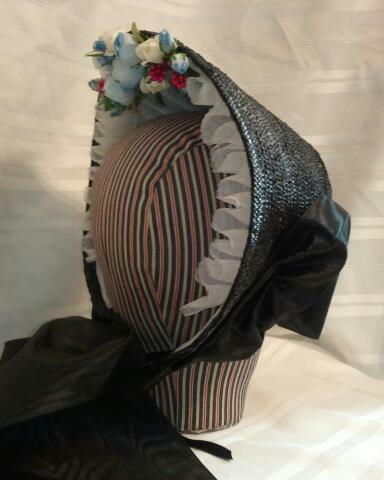 This is my first late war straw bonnet. It is a special request for the spring of 1865. We wanted a respectful look in an appropriate shape and style while suiting the wearer in shape and color. I am happy with how this came together. 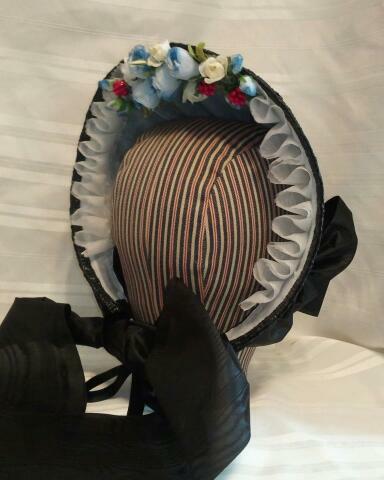 Overall, the bonnet is smaller than the early war bonnets. This one has a gentle rise to the brim retaining the flattering spoon shape. The drop from the back sides to the cheektabs is more angular and abrupt. 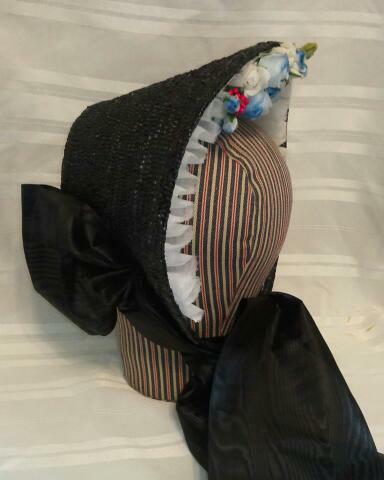 It is hard to see the shape of the sides and back with the ribbon wrapping around. Underneath that ribbon is a raised tip which is a semi-circle. The neckline transitions in a flat line from the tip to the sides rather than with the curve we see earlier in the war years. This was the hardest area for me to wrap my mind around because I like those gentle curves. 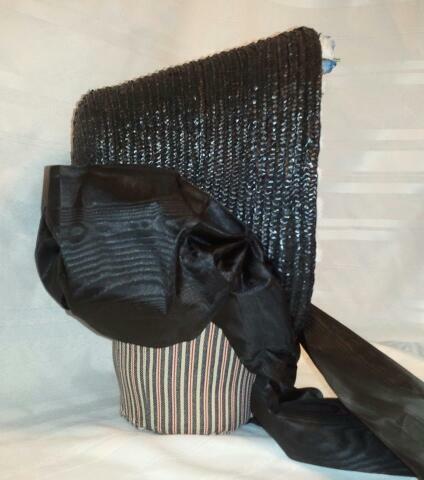 The frill is silk organza, a double layer in box pleats. I do like how this can show the nice ripples or be fluffed for fullness. The flowers include petite white roses, blue roses, buds of each and little red berries.